Traditionally, November is a time for turkey, potatoes, and pumpkin whatever, which is good, but not great. This November is time for all that, plus tacos, ice cream, whiskey, and everything else on our list of things that you absolutely have to to do in Detroit this November. In other words, this will be your favorite November yet. 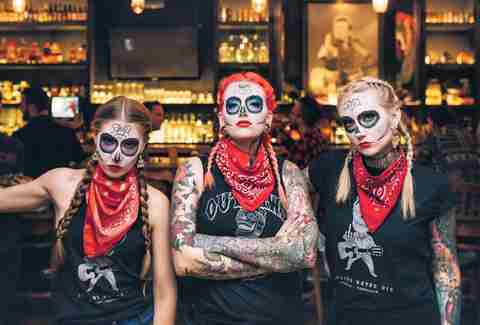 Eat tacos ‘til you’re dead at Imperial This marks Imperial’s 4th annual Dia de los Muertos Celebration, and if you’ve been to any of the other three, you already know to expect tacos, tequila, and sugar skulls, but they’re also crafting a menú especial for the occasion, so... vámanos! Eat tacos ‘til you’re dead at Imperial Imperial This marks Imperial’s 4th annual Dia de los Muertos Celebration, and if you’ve been to any of the other three, you already know to expect tacos, tequila, and sugar skulls, but they’re also crafting a menú especial for the occasion, so... vámanos! Sip beer and slurp ice cream at HopCat New Belgium and Ben & Jerry’s have collaborated to make a Salted Caramel Brownie brown ale, so naturally HopCat is hosting a “beer dinner-style ice cream social” that includes tasty beers paired with Chunky Monkey, Strawberry Cheesecake, and Salted Caramel Brownie ice cream. Sip beer and slurp ice cream at HopCat HopCat Detroit New Belgium and Ben & Jerry’s have collaborated to make a Salted Caramel Brownie brown ale, so naturally HopCat is hosting a “beer dinner-style ice cream social” that includes tasty beers paired with Chunky Monkey, Strawberry Cheesecake, and Salted Caramel Brownie ice cream. 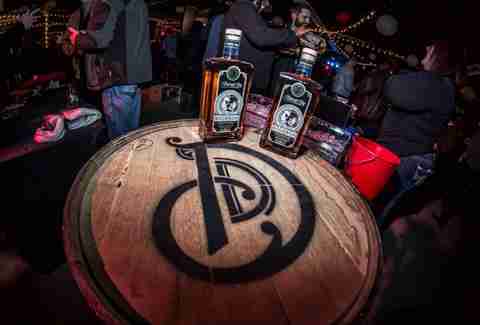 Get down to Whiskey Business Yeah, there’s gonna be whiskey from, like, 30 distilleries, but there’s also gonna be beer, cigars, and did we mention whiskey? Keep an eye on the event site for a final spirits list. Get down to Whiskey Business Royal Oak Farmers Market Yeah, there’s gonna be whiskey from, like, 30 distilleries, but there’s also gonna be beer, cigars, and did we mention whiskey? Keep an eye on the event site for a final spirits list. Run for mustaches everywhere It’s the Mustache Dache 5K! Grow a mustache, put on a fake one, or transfer hair from elsewhere on your body to your upper lip (or maybe don’t), and then go jogging to support men’s health. Also, the finishers’ medals are cool bottle openers. Run for mustaches everywhere Atwater Brewery It’s the Mustache Dache 5K! Grow a mustache, put on a fake one, or transfer hair from elsewhere on your body to your upper lip (or maybe don’t), and then go jogging to support men’s health. Also, the finishers’ medals are cool bottle openers. 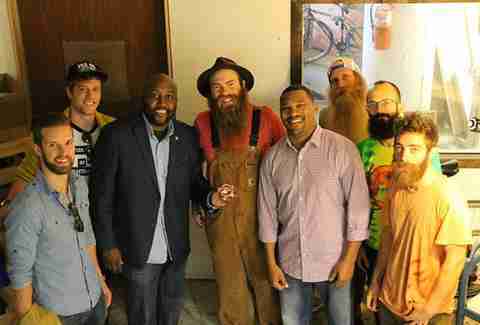 Judge a beard at Detroit’s Circus of Whiskers Look, it’s no-shave November so there’s gonna be a lot of facial hair. Cool? Cool. The Circus of Whiskers is a beard and facial hair competition/party. As such, there will be live music/performances, and dressing up is highly encouraged. Judge a beard at Detroit’s Circus of Whiskers Hastings Street Ballroom Look, it’s no-shave November so there’s gonna be a lot of facial hair. Cool? Cool. The Circus of Whiskers is a beard and facial hair competition/party. As such, there will be live music/performances, and dressing up is highly encouraged. Drink wine at Sip, Savor, Stomp You know what goes great with 150 wines from all over the place? Cheese. Cheese and chocolate. So there will be wine, cheese, and chocolate at this food/booze fest. Drink wine at Sip, Savor, Stomp Royal Oak Farmers Market You know what goes great with 150 wines from all over the place? Cheese. Cheese and chocolate. So there will be wine, cheese, and chocolate at this food/booze fest. Pick up on the Subtleties of Scotch Make Michael Scott jokes and more while tasting six styles of Scotch as it goes down. Down into your belly. 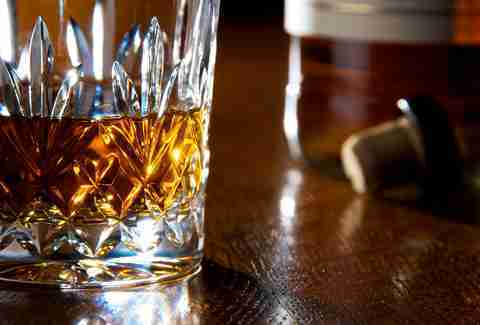 Pick up on the Subtleties of Scotch Grosse Pointe War Memorial Make Michael Scott jokes and more while tasting six styles of Scotch as it goes down. Down into your belly. Be there for the Detroit Tree Lighting Ceremony Dear God, it’s Christmastime already. Greet it properly at the tree lighting ceremony with the traditional ice skating/hot chocolate combo, followed promptly by a return to the great indoors. 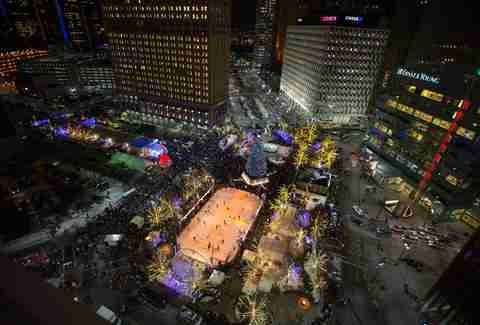 Be there for the Detroit Tree Lighting Ceremony Campus Martius Park Dear God, it’s Christmastime already. Greet it properly at the tree lighting ceremony with the traditional ice skating/hot chocolate combo, followed promptly by a return to the great indoors. Eat, Drink, and Be Merry at One Eyed Betty’s FestivALE Christmas beer, rare Michigan beer, cold-weather comfort food, and Americana music. This is how we should all spend our week before Thanksgiving. Actually, this is how we should all spend Thanksgiving. Eat, Drink, and Be Merry at One Eyed Betty’s FestivALE One Eyed Betty’s Christmas beer, rare Michigan beer, cold-weather comfort food, and Americana music. This is how we should all spend our week before Thanksgiving. Actually, this is how we should all spend Thanksgiving. Watch the Thanksgiving Parade, then cheer on the Lions Here’s what you need to know about Thanksgiving in the D: the Turkey Trot 10K and 5K take off at 7:30am and 8:30am respectively, Tim Allen grand marshals the parade at 9am, and the Lions play the Eagles at 12:30pm. You’ll be asleep on the couch -- a belly full of potatoes and turkey -- by 4pm. 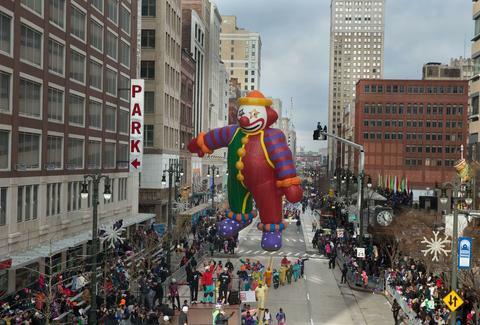 Watch the Thanksgiving Parade, then cheer on the Lions Woodward Ave. Here’s what you need to know about Thanksgiving in the D: the Turkey Trot 10K and 5K take off at 7:30am and 8:30am respectively, Tim Allen grand marshals the parade at 9am, and the Lions play the Eagles at 12:30pm. You’ll be asleep on the couch -- a belly full of potatoes and turkey -- by 4pm.